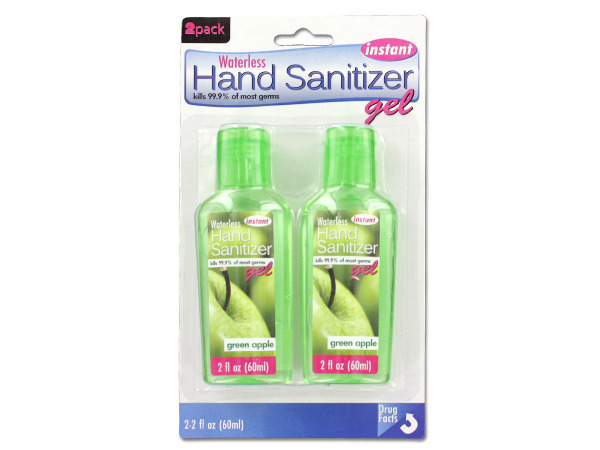 Instant hand sanitizer kills 99.9% of most germs. 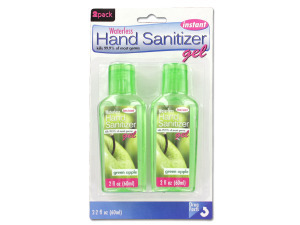 This 2 pack of waterless antibacterial gel is perfect to keep in purses, desk drawers, back packs and more! Comes in 4 assorted scents including lemon, strawberry, lavender and green apple. Bottles are packaged on a blister card with hanging hole. Each bottle weighs 2 fluid ounces.